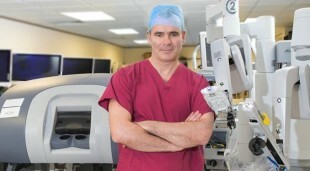 Thousands of NHS patients with prostate cancer could benefit from life-enhancing robotic surgery thanks to a new programme funded by The Urology Foundation. The funding will treble the number of NHS urologists training in robotic surgery each year, from six to 20, meaning an extra 2,000 men with prostate cancer could benefit from robotic technology across the UK each year. 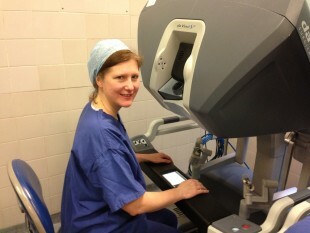 For the first time, five high volume robotic training centres based in hospitals in four different cities: London, Bristol, Newcastle and Canterbury, will join together enabling surgeons to share expertise, opening up more training places and thereby delivering improved urology care to patients. This new 21st century robotic surgery project – the first of its kind – is a major step forward in the treatment of prostate cancer and The Urology Foundation should be applauded for funding this vital work. It is through projects like this that patients in England are benefitting from the latest and most effective treatments and this continues to cement the NHS as a world leader in medical science. Robotic surgery is more precise than traditional surgery, and its main advantages are reduction in blood loss, shorter hospital stays and quicker recovery. It may additionally reduce incontinence and erectile dysfunction in patients undergoing prostate surgery. This is such an exciting initiative for UK surgery; new techniques have been developed, we are working with the latest instruments, better robots and it is important that the UK is equipped with centres working collaboratively to train new and existing surgeons. Patient safety is a top priority – the training centres have sophisticated robot simulators allowing surgeons to practice many times over before moving on to robotic systems in a lab setting and then training with experienced teams in the operating theatre. This ground-breaking collaboration between training centres will benefit thousands of people across England. By continuing to invest in training for robotic surgeons we can ensure less invasive surgery, quicker recovery and fewer side effects for patients during such a difficult time in their life.